Jhilli takes up a new look in the evening. Under the moonlit sky, Jhilli appears surreal. You can sit ideal and feel the ambience or else chat your heart out with people you have come with. 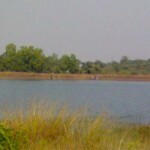 Places to see at Jhilli: The greenery surrounding the vast waters of Jhilli is the best place for a nature lover. Nearby attractions from Jhilli: From Jhilli, you can go to Hatibari, another lovely forested region, which is approximately 9 km from Jhilli. 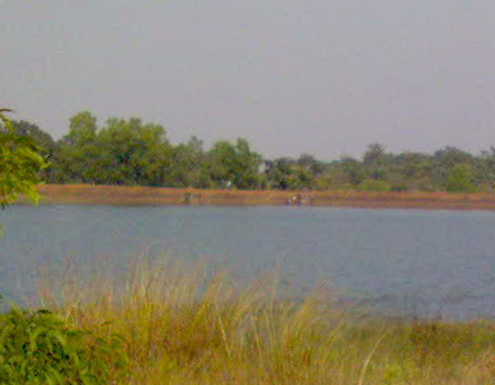 Hatibari is a great place where you can see the dense forest and the beautiful River Subarnarekha. Gopiballavpur is another nearby destination to look out for; you can go to see the Temple of Gopiballavji. Things to do in Jhilli: You can go for paddle boating on the waters of Jhilli as a part of your picnic. In the evening, if you come in huge groups, can have a bonfire, sit, talk and enjoy the surrounding. How to reach Jhilli: From Jhargram, Hatibari is 24 kms, just 2 kms before it you have to turn left and continue 7 km in that direction to reach Jhilli. Best time to visit Jhilli: Winter is the best time to visit here as you can see flocks of migrating birds covering the banks of Jhilli. Lodging and dining facilities at Jhilli: There are bungalows and tents made available for tourists. Dining comes along with staying in the tent, but the expenses for food are separate.